This is a rectangular Breinig’s Pure Paints porcelain sign. This particular Breinig’s Pure Paints sign is blue and white. 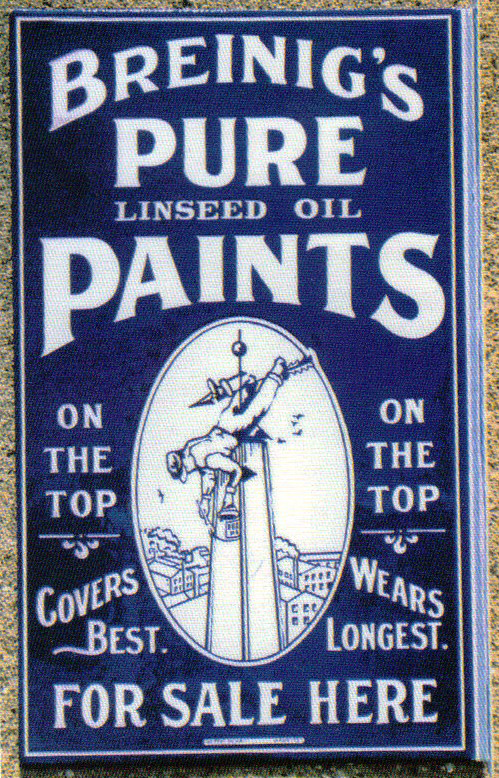 It reads, “Breinig’s Pure Linseed Oil Paints On The Top Covers Best, On The Top Wears Longest, For Sale Here” and features a painter dangling from a weather vane painting a steeple in the center.